These cinnamon bundles were really quick to make and I didn’t even need glue! If you have cinnamon sticks larger than 8cm, just cut them carefully with a pair of secateurs (my cinnamon sticks were 15cm and I cut them in half). Not just for Christmas trees – wire these bundles onto homemade wreaths and garlands, or use to decorate gifts. These have a subtle natural fragrance, but more could be added by painting with cinnamon oil to make a fragranced cinnamon bundle. 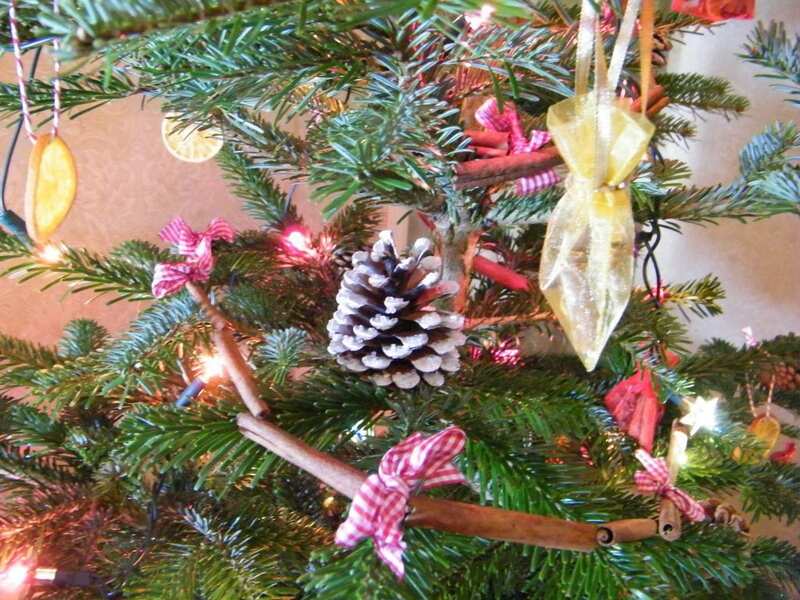 Make a matching cinnamon garland like the one below by threading cinnamon sticks onto wire and tying a bow with gingham ribbon every so often. This is based on my cinnamon garland made last year. 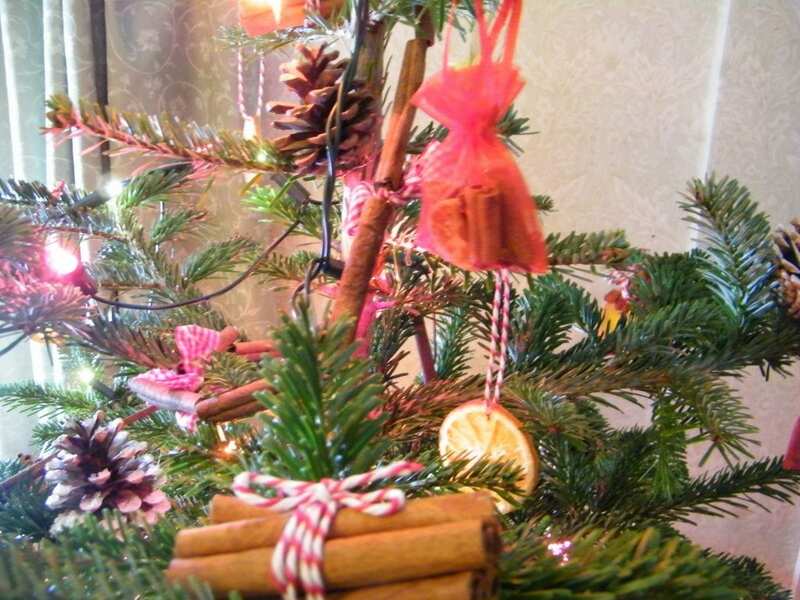 Find out more about my natural decorations for this year’s Christmas tree.